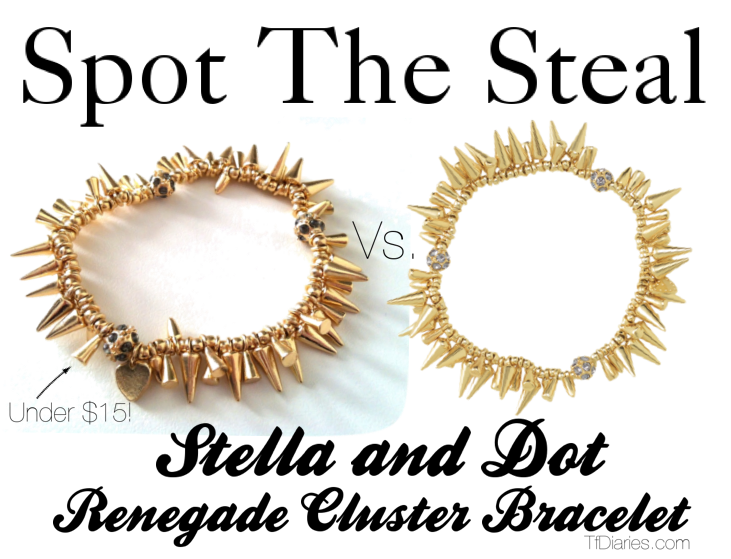 If you're one of the many people that was obsessed with Stella and Dot's Renegade Cluster Bracelet you'll be happy to find that there's a perfect dupe to the celebrity loved arm candy and for just under $15. I spied it today on Instagram when Sira & Mara posted it and immediately knew that it needed to be shared, because it's a fabulous addition to that wrist of yours, am I right? This a great find, and thank you so much for sharing! Wow, they are absolutely too similar to tell apart, so cute! great find - they look so similar! I bet you can't event tell in real life. I love your spot the steal posts!